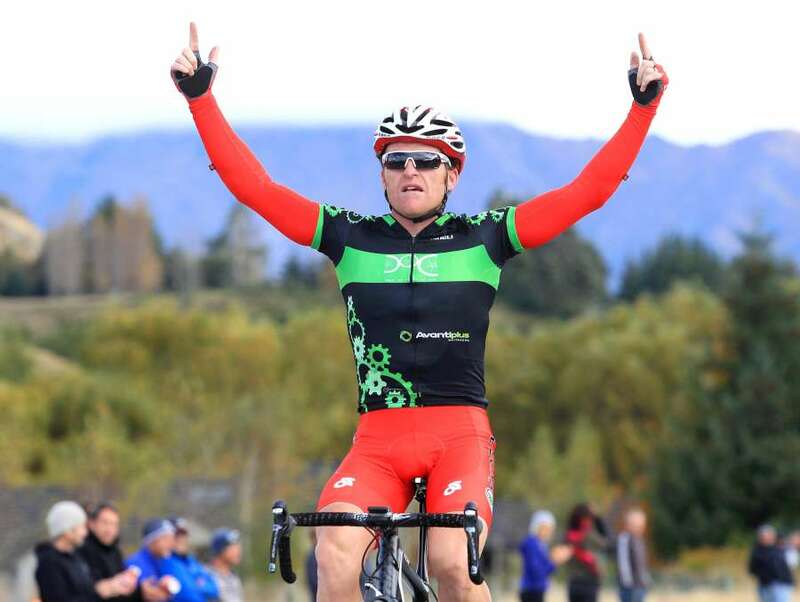 The outstanding performane of the day came from Southland's Matt Zenovich who took out the U23s while Kiwi cycling legend Gordon McCauley proved he still has what it takes, taking the elite men’s victory in the final day of the BikeNZ Club Road National Championships in Queenstown today. At 41 years of age, McCauley is no stranger to victory, having won the Club Road National Championships twice previously, as well as the elite national road race five times and elite national time trial on three occasions among an array of honours in the sport. 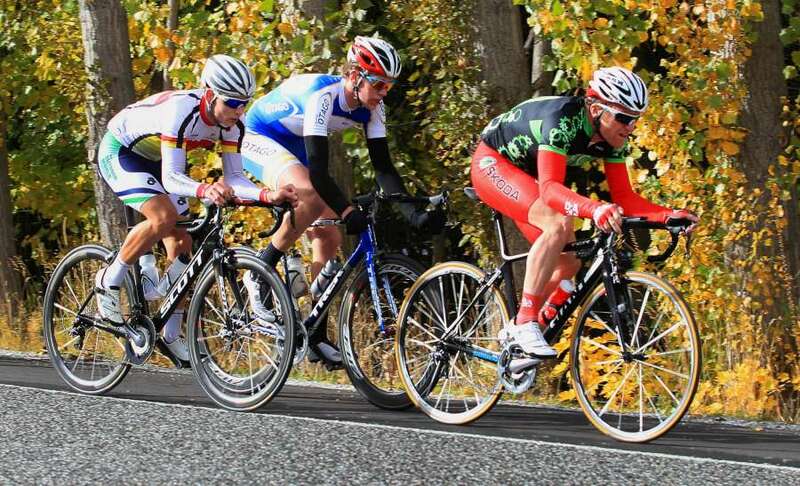 McCauley also coaches a number of athletes, many of whom were racing this weekend. “I knew I was going good before the race. I had a win in Auckland and then another win in Otago, so it was just a case of how much the week would take out of me,” he said. 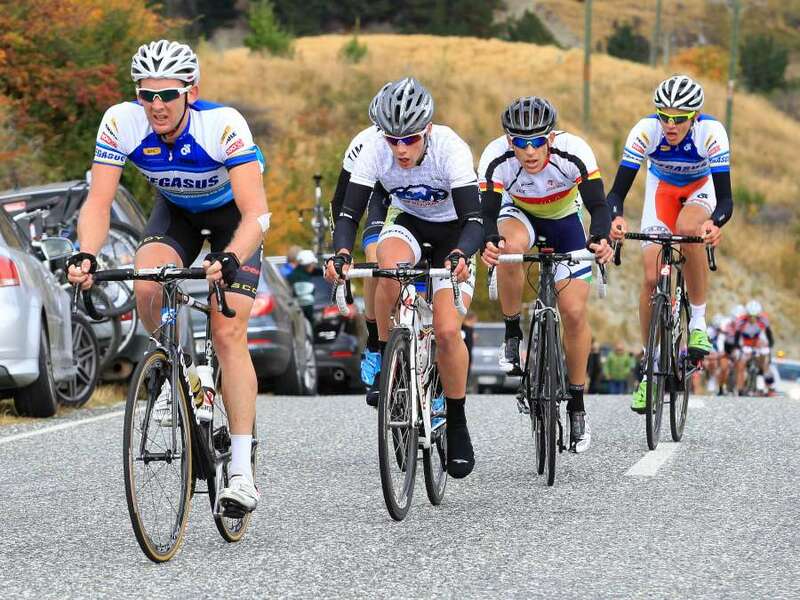 McCauley got into the breakaway with under-23 rider Matt Zenovich of Cycling Southland and second-place getter Alex McGregor of Cycling Otago, dropping Zenovich in the last few kilometres and outsprinting McGregor in the final straight. McCauley is now preparing for the Tour of Adelaide, where he will race with Australian-based UCI Continental team, Drapac. 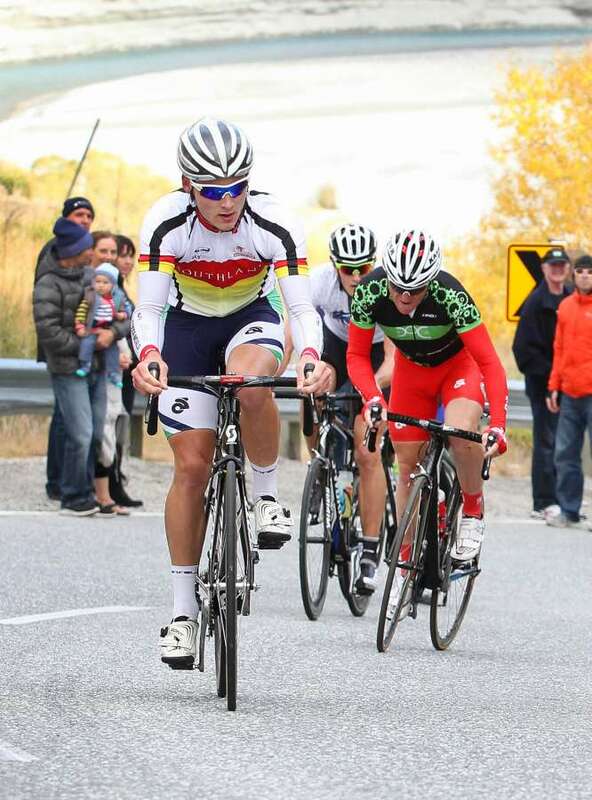 The outstanding performance of the day went to Zenovich, who took the win in the under-23 men’s race after attacking in the first kilometre over the demanding and hilly course near Arrowtown. Zenovich, 19, who is riding his first season in the under-23 category, made his move from the start and spent the entire race either out on his own, or in the breakaway. “It was hard. It was pretty much 150kms of wind in your face really. That last little bit was just hell really,” Zenovich said. “I don’t think there ever really is a race plan, it just kind of happens. I don’t think I could’ve gone any harder really,” said the young rider who has a habit of going from the start. 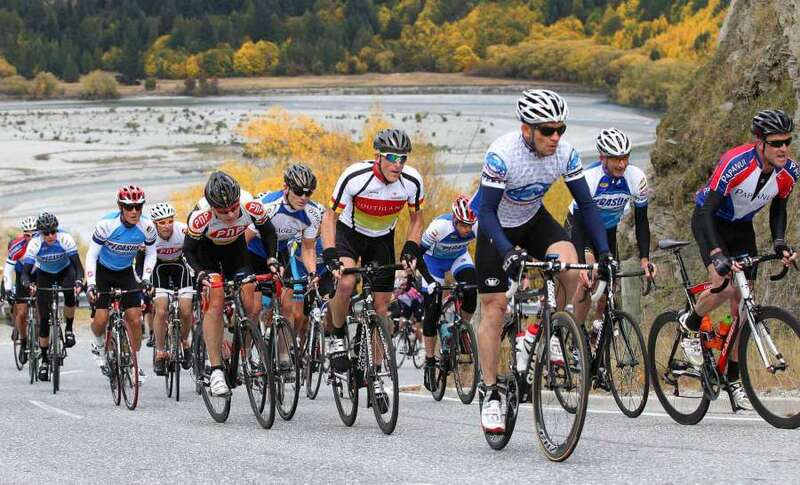 Richard Lawson, also of Cycling southland, crossed the line 59 seconds behind Zenovich to take second, and Pegasus Cycling’s Sam Friend took third in the under-23 race. Jim McMurray made a solo break during the first lap of the men’s masters four race, and crossed the line in impressive fasion, over three minutes ahead of second place getter Brent Marryatt (Pegasus Cycling) and Dave Lawson of Papanui Cycling Club in third. This gave McMurray the double after winning the time trial honours earlier in the week. Under-23 men: Matt Zenovich (Cycling Southland) 3:53:03, 1; Richard Lawson (Pegasus Cycling) 3:54:02, 2; Sam Friend (Pegasus Cycling) 3:54:04, 3. Elite Men: Gordon McCauley (Department of Cycling) 3:52:46, 1; Alex McGregor (Cycling Otago) 3:52:49, 2; Sam Horgan (Pegasus Cycling) 3:54:02, 3. Master 4 men: Jim McMurray (Forestland Wheelers) 2:45:40, 1; Brent Marryatt (Pegasus Cycling) 2:48:42, 2; Dave Lawson (Papanui Cycling Club) 2:48:42, 3. Master 6 men: Ian Morton (Te Awamutu Sports) 1:30:10, 1; Paul Lundon (Port Nicholson Poneke) 1:30:10, 2; John Badger (Hamilton City) 1:30:10, 3. Paracyclist men: Craig Hill (Ramblers) 1:37:23, 1; Stephen Hills (Cycling New Plymouth) 1:43:00, 2. Paracyclist H1: Timothy Williams (Morrinsville Wheelers) 1:46:26, 1; Fleur Hansby (Tasman Wheelers) 1:47:01, 2. Paracyclists H2: Kirstie Fairhurst (Cycling New Plymouth) 1:52:07, 1. Paracyclists H3: Shane Hall (Cycling New Plymouth) 1:13:13, 1; Rebecca Hayman (Cycling New Plymouth) 1:48:12, 2.